Dissolution is a site-responsive improvisation that utilizes Cetilia’s performance system Fraktur (2001 – present) to explore the physicality of sound and the behavior of nonlinear feedback loops. Beginning with electrical energy as a raw material, Cetilia sets into motion evolving and unpredictable processes, and acts as both an observer and a regulator, guiding the trajectory of a given performance with an acute attention placed upon changes within the system and cues from the external world. Dissolution is a site-responsive improvisation that utilizes Cetilia’s performance platform Fraktur (2001 – present) to explore the physicality of sound and the behavior of nonlinear feedback loops. Beginning with electrical energy as a raw material, and taking into account the conditions of the site in which the work is presented, Cetilia sets into motion evolving and unpredictable processes, and examines the ways in which they unfold. His role in this operation is that of an observer and a regulator, guiding the trajectory of a given performance with an acute attention placed upon changes within the system and cues from the external world. The current iteration of Frakturis a hybrid analog / digital performance system consisting of custom software written using the SuperCollider audio synthesis / algorithmic composition platform, live-patched analogmodular synthesis, and a variety of hardware controllers. Fraktur is wide-ranging in its scope and abilities, featuring signal generation and manipulation using analog modular synthesis techniques, live sampling, audio manipulation, and signal generation using digital oscillators, gesture recording and playback for parameters throughout the entire Fraktur ecology, and creation of data sequences that may be utilized by digital synthesis algorithms or output as voltages to an analog modular synthesizer. 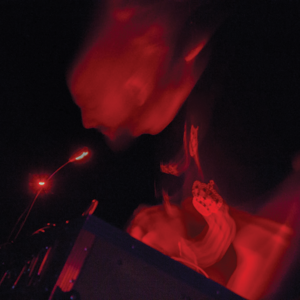 Mark Cetilia is a sound / media artist working at the nexus of analog and digital technologies. Exploring the possibilities of generative systems in art, design, and sound practice, Cetilia’s work is an exercise in carefully controlled chaos. 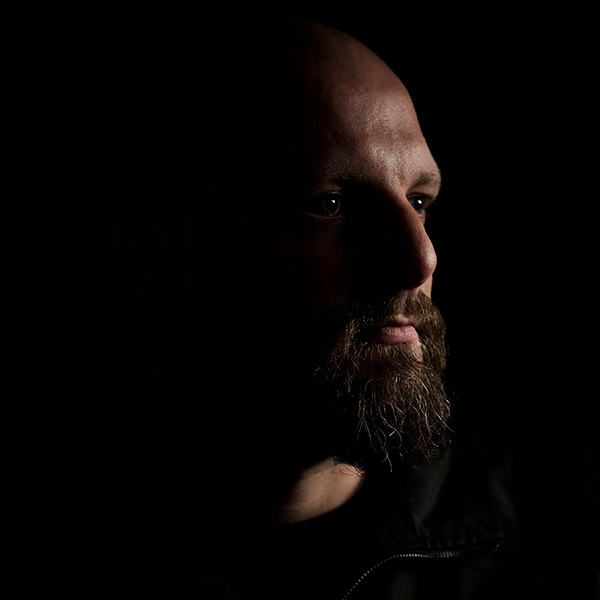 Over the past two decades, he has worked to develop idiomatic performance systems utilizing custom hardware and software, manifesting in a rich tapestry of sound and image. Mark is a member of the electroacoustic ensemble Mem1, which the Oxford University Press’ Grove Dictionary of American Music describes as “a complex cybernetic entity, comprised of two human artists plus their instruments” whose “evolving, custom-built systems are as important an aspect of the duo’s achievements as their ever-innovative sound.” He is also a member of the experimental media art group Redux, recipients of a Creative Capital grant in Emerging Fields for Callspace, a monumental sound installation that reverses the paradigm through which cellular telephony removes users from their surroundings by networking site-specific sounds to a central listening environment. Cetilia holds a Ph.D in Computer Music and Multimedia from Brown University and an MFA in Digital + Media from the Rhode Island School of Design. He is currently a Critic at the Rhode Island School of Design and an Adjunct Assistant Professor in Art / Technology at Hampshire College. Cetilia’s work has been screened / installed at the Institute of Contemporary Arts (London, UK), the Ben-Ari Museum of Contemporary Art (Bat Yam, IL), Oboro (Montréal), O’ (Milan), R.K. Projects (Providence, RI), and SoundWalk (Long Beach, CA). He has performed widely at venues including Café OTO (London, UK), the Borealis Festival (Bergen, NO), STEIM (Amsterdam, NL), Los Angeles Contemporary Exhibitions, Roulette (NYC), Goethe-Institut (Boston), Menza Pri Koritu (Ljubljana, SI), Issue Project Room (Brooklyn, NY), Uganda (Jerusalem, IL), the San Francisco Electronic Music Festival, Sound of Mu (Oslo, NO) and Electronic Church (Berlin, DE). His sound works have been published by Interval Recordings, Radical Matters, Dragon’s Eye Recordings, Farmacia 901, Iynges, Anarchymoon, Quiet Design, and the Estuary Ltd. imprint, which he runs with his partner Laura Cetilia.